19.8.2016 jung found address of the filming location London Criminal Court of the Movie Patriot Games. 19.8.2016 jung found address of the filming location Rare Books of the Movie Patriot Games. 15.8.2016 Andrew found address of the filming location Academy Gate of the Movie Patriot Games. 15.8.2016 Andrew inserted filming location Rare Books of the Movie Patriot Games. 15.8.2016 Andrew inserted filming location Central Intelligence Agency of the Movie Patriot Games. 15.8.2016 Andrew inserted filming location Academy Gate of the Movie Patriot Games. 15.8.2016 Andrew inserted filming location Indian Head Elementary School of the Movie Patriot Games. 15.8.2016 Andrew inserted filming location U.S.Naval Academy of the Movie Patriot Games. 15.8.2016 Andrew inserted filming location The Bridge of the Movie Patriot Games. 15.8.2016 Andrew inserted filming location Transport of Sean Miller of the Movie Patriot Games. 15.8.2016 Andrew inserted filming location London Criminal Court of the Movie Patriot Games. 15.8.2016 Andrew inserted filming location O'Dwyers of the Movie Patriot Games. 15.8.2016 Andrew inserted filming location The place of attack of the Movie Patriot Games. 15.8.2016 Andrew inserted filming location Sally Ryan and the soldier of the Movie Patriot Games. 15.8.2016 Andrew inserted filming location Military parade of the Movie Patriot Games. 15.8.2016 Andrew inserted filming location The Ryans of the Movie Patriot Games. 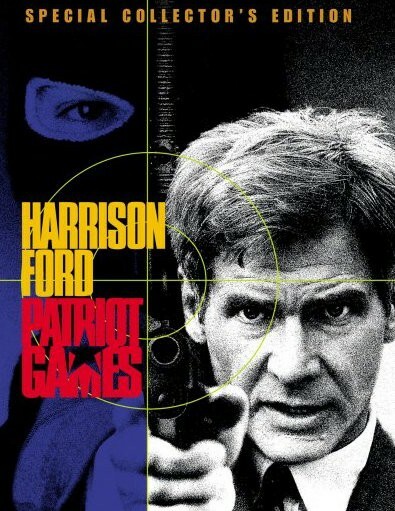 15.8.2016 Andrew inserted new Movie Patriot Games.